Pune: The banned Communist Party of India (Maoist) was in the process of organising a series of lectures at the Jawaharlal Nehru University (JNU) in the memory of Naveen Babu, who was killed in police action in Andhra Pradesh in February 2000, City police have told a court. Babu was a Maoist leader and JNU alumnus.The police statement came on Thursday before a city court while producing the five accused arrested in connection with Elgaar Parishad. 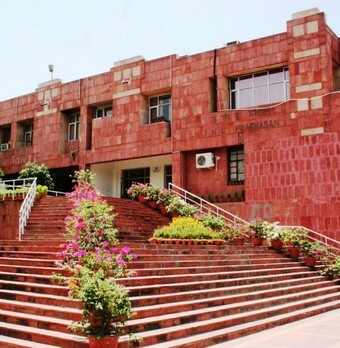 Investigators submitted documents which revealed plans of the banned outfit, CPI-Maoist, to organise the lecture series at JNU and supply material for the programme. Wada in Pune on 31st December. 'Provocative speeches' at the conference, police informed the court, caused violence in Koregaon-Bhima on January 1, which led to the death of a 30-year-old man and hundreds injured. Prosecution sought an extension in the police custody of all the accused. District government pleader Ujjwala Pawar told the court that searche at their residences unearthed data worth 25,000 GB from the five accused . Cloned copies of the recovered data have been obtained from the forensic department and they are being investigated, she said. Police also told the court that all accused had links with the banned CPI-Maoist and investigation regarding their preparations, in execution and implementation of anti-national activities, was at a crucial stage. Letters investigated by police show funds were also provided to implement anti-national activities. Cash amount of Rs 80,000 has been seized from accused Rona, Ms Pawar told the court. Prosecution, however, made no mention of the alleged Maoist conspiracy to kill Prime Minister Narendra Modi. The police, in its report, also mentioned that custodial interrogation of the accused was required to probe a 'larger conspiracy' of the banned CPI-Maoist to organise and supply funds to the Elgaar Parishad.